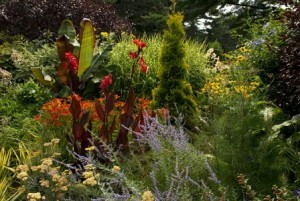 The New York Botanical Garden has redoubled its efforts to connect its visitors to the beauty and wonder of nature through an ambitious program of research and ecological restoration in its 50-acre old growth Thain Family Forest and the creation of its new Oehme, van Sweden-designed Native Plant Garden. Todd Forrest, the Garden’s Arthur Ross Vice President for Horticulture and Living Collections, will discuss how these projects and others at the Garden can inspire and inform stewardship of nature in our own backyards. TODD FORREST is the Arthur Ross Vice President for Horticulture and Living Collections at The New York Botanical Garden. He oversees all aspects of the management and development of the Garden’s landmark 250-acre landscape, glasshouses, and indoor and outdoor exhibitions, including the 50-acre Thain Family Forest, 50 gardens and plant collections, exhibitions in the Enid A. Haupt Conservatory, and outdoor art exhibitions. He joined The New York Botanical Garden in 1998 as a research assistant in the Science division. He became Curator of Woody Plants in 1999 and Vice President for Horticulture and Living Collections in 2005. He received a bachelor’s degree in philosophy from Wesleyan University and a master’s degree in forest science from Yale University’s School of Forestry and Environmental Studies.